"Grease Can't Hide From Certified, Because We Don't Cut Corners — We Clean Them!" I was so happy with the cleaning that I had to call Beazer, the owner, and let him know personally how great they did. Keep up the good work! Check-In: When a crew from Certified Hood & Fire Specialists arrives at your restaurant, we take the time to familiarize ourselves with you and your business. 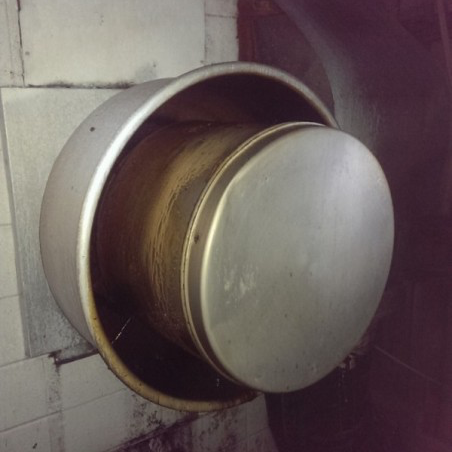 We then do a walk-through with the manager and provide a service report, listing the condition of all areas of your kitchen exhaust system and equipment under the exhaust hood. This helps tremendously with troubleshooting and keeps everyone aware of any needed repairs or adjustments. 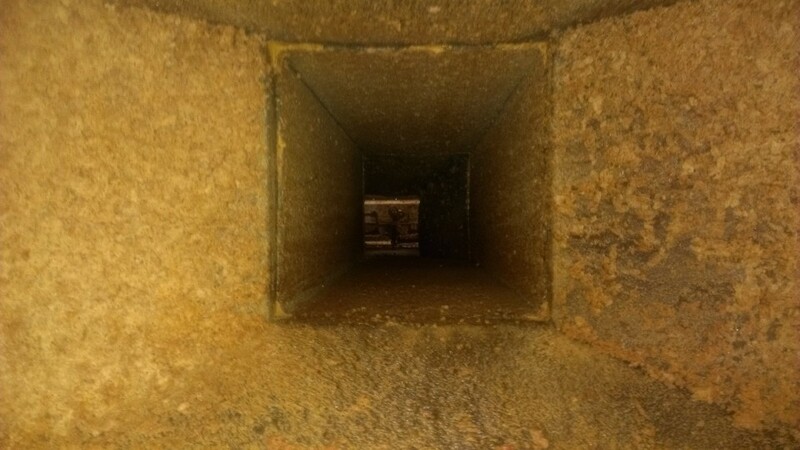 Fan Cleaning: We clean all accessible areas of the duct and fan. First, we tilt the hinged bell on its side in order to have access to the duct. 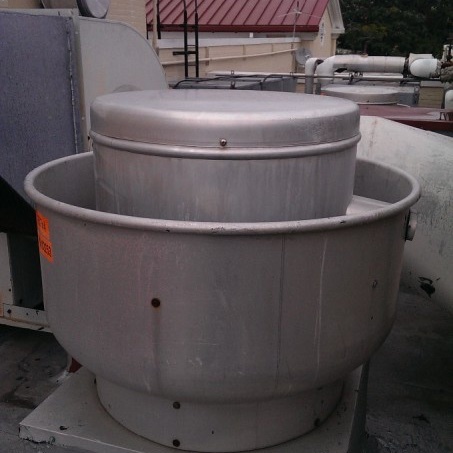 We scrape all build-up on fan blades as well as the interior of the duct. Next, we apply degreasers and high pressure to remove grease down to bare metal. Then, we service your grease containment system. We grease the bearings in the motor. Lastly, we check your fan belt and replace, if necessary. 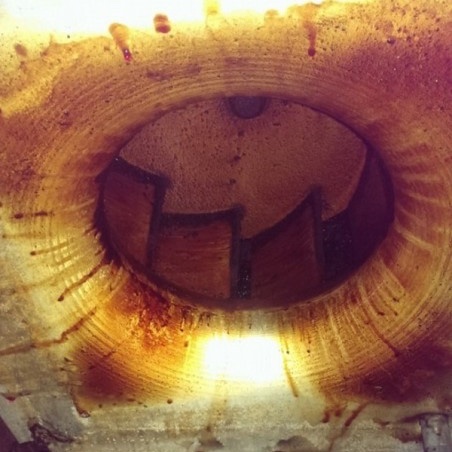 Filter Cleaning: With the use of hot high pressure water and our specially formulated chemical, we can remove grease from within your filters. Regular maintenance of filters prevents grease build-up in your system and is the most effective fire prevention method. We strongly recommend weekly cleaning of filters by your kitchen staff. 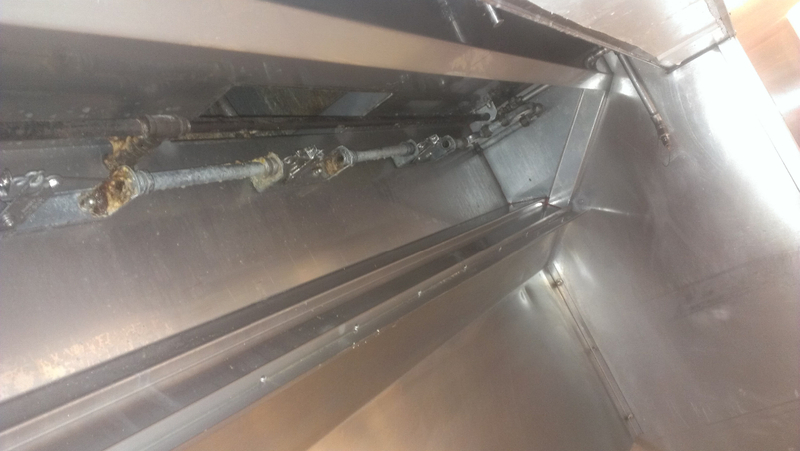 Kitchen Exhaust Hood Cleaning: We take extra care to disconnect all electrical supplies and cover all receptacles to protect them from water and chemicals. 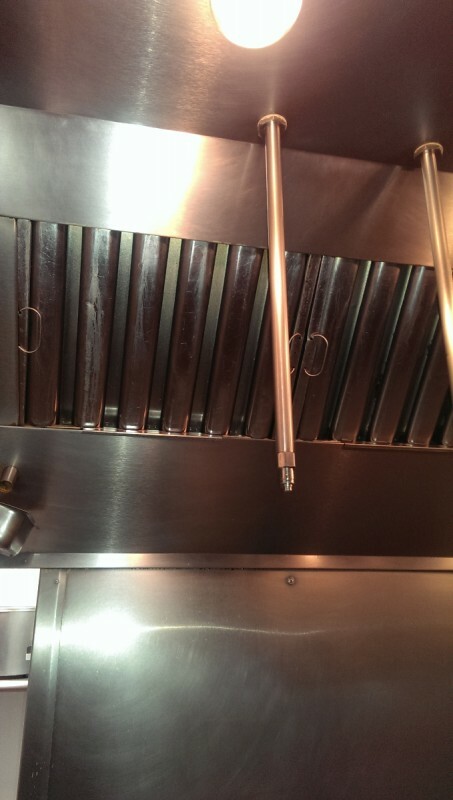 We cover and secure everything under the exhaust hood and apply the chemical. After sufficient soak time, we then pressure clean, check for any necessary hand scraping, apply additional chemical and rinse. After all plastic is removed, we reconnect any appliances, relight pilot lights, and polish the exterior of the hood. We do not leave any mess for your kitchen staff. We wipe down everything and mop our way out of the back door. Your guys were very nice and did a great job cleaning up. Thanks! We know that not only is your business precious, but also the personal safety of staff and customers is. This means we do a thorough job every time. We inspect all fire suppression systems by trip testing the detection line for proper actuation of the control unit, electric / gas fuel shut-off and all alarm indicating devices. We will take measurements of all appliances and hood sizes for proper design per manufacture specifications and check all nozzles for proper spray pattern. Inspection of fire extinguishers per the NFPA is to make sure extinguishers are properly covering the correct hazard areas, examine the shell and handle for any damage from being dropped, check hoses for any obstruction that would cause the extinguisher not to discharge, make sure gauges read fully charged, check for 6 and 12 year maintenance schedule and fluff each extinguisher. CHFSI crews have all been professionally trained by a third party certification program per the requirements of the manufacturer and NFPA codes and standards. We are a member of the (NFPA) National Fire Protection Association, which is the governing authority that has jurisdiction over all commercial kitchens nationwide. 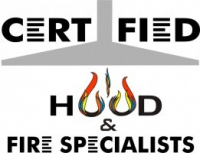 Certified Hood & Fire Specialists, Inc. is a full service provider of nationwide cleaning / installation of restaurant kitchen exhaust systems, installing / servicing fire suppression systems, servicing fire extinguishers, repairing exhaust and fire systems and any preventative maintenance in the restaurant industry. We provide estimates at no charge, restaurant cleaning consults and tips on how to keep your kitchen maintained and up to code. Our company uses the most current, up-to-date, innovative and cost effective methods to service your restaurant. We offer high quality service for a reasonable price. “Customer service is our #1 goal. If a problem with service takes place, we take care of it same day. We are a specialized company in the services we provide and our services are 100% guaranteed to be performed correct the first time.